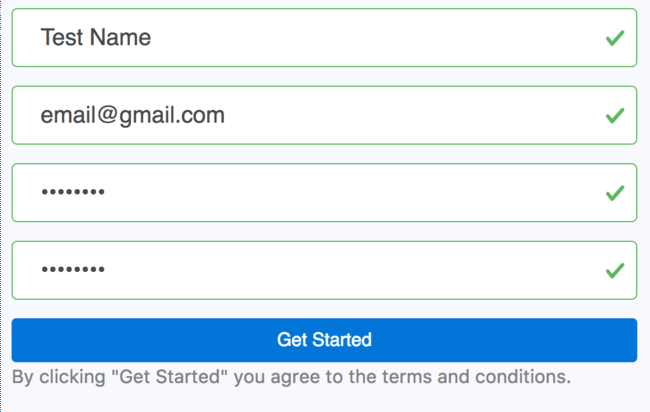 Near enough every application has a form and it requires form validation to be setup, usually by using a validation framework or library which saves time. 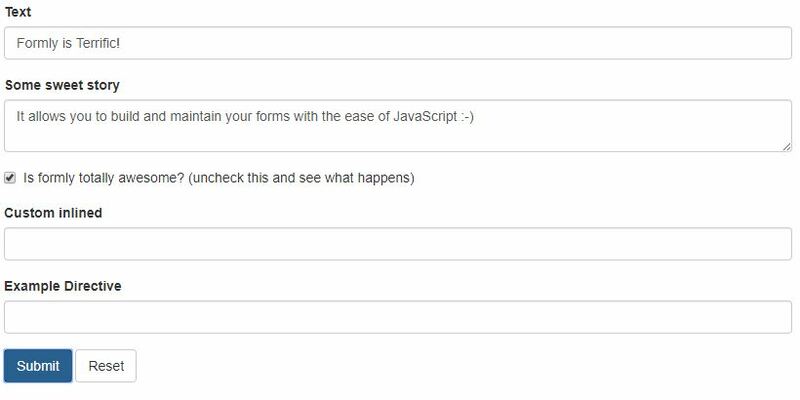 So included below is 10+ Examples of Angular 2 Form Validation with specific validators for form input controls and different input types such as text, phone, email and other components. Enjoy! Forms are the mainstay of business applications. You use forms to log in, submit a help request, place an order, book a flight, schedule a meeting, and perform countless other data-entry tasks. 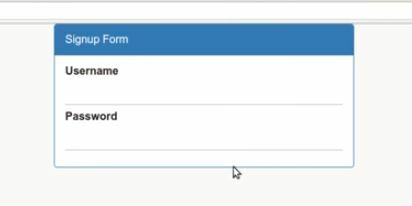 Developing forms requires design skills (which are out of scope for this page), as well as framework support for two-way data binding, change tracking, validation, and error handling, which you’ll learn about on this page. Angular 2.x aims to make the creation and validation of forms simple, intuitive, and manageable. Pretty ambitious goals, but with the breadth of knowledge the team has from building Angular 1.x, I think Angular 2 forms can live up to these expectations. AngularJS is one of the greatest frameworks that provides us with a great deal of flexibility and power for building Single Page Applications. 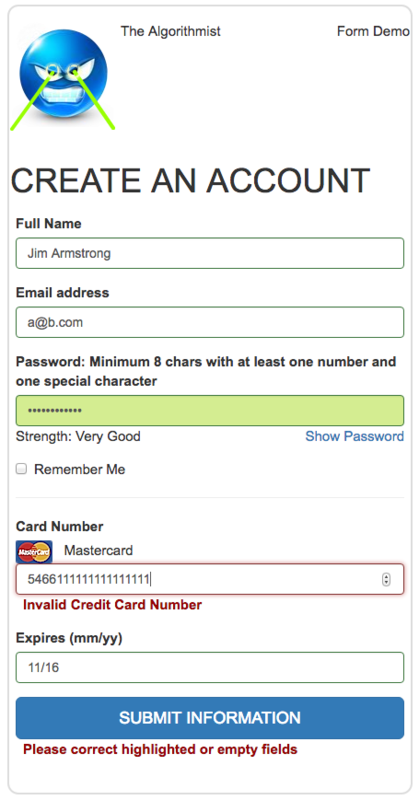 One of the magnificent features of AngularJS is the Form Validation. 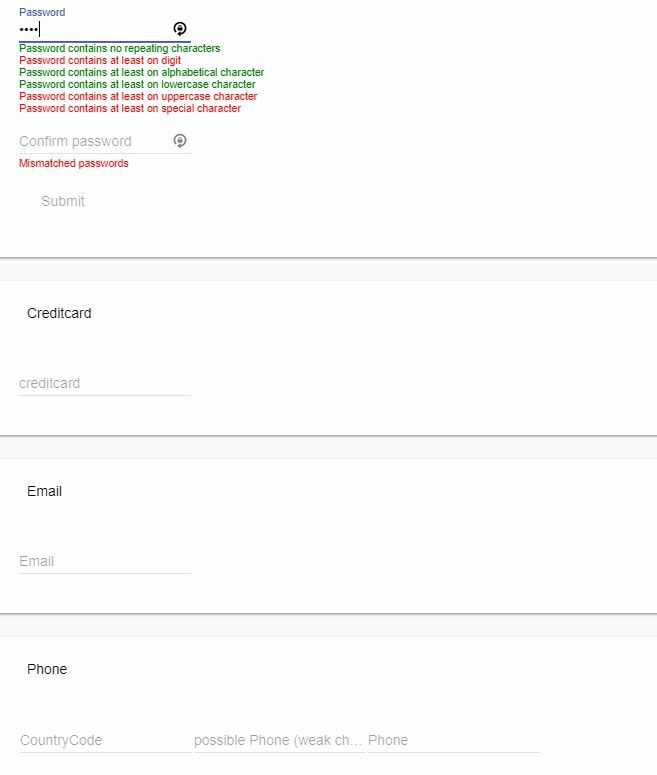 Through the act of decorating input fields with ng- attributes, angular validation is triggered automatically and let users know whether if an input field or a form is valid or not. 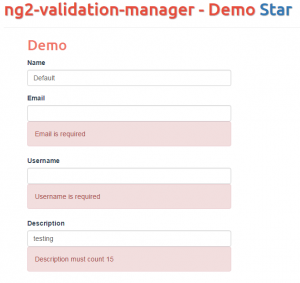 ng2-validation-manager is validation library for Angular 2 based on Laravel Validation method. Validation rules are case-sensitive. The validation strategy is essentially validate-as-you-type. As the user types information into a field, that information is validated in real-time. 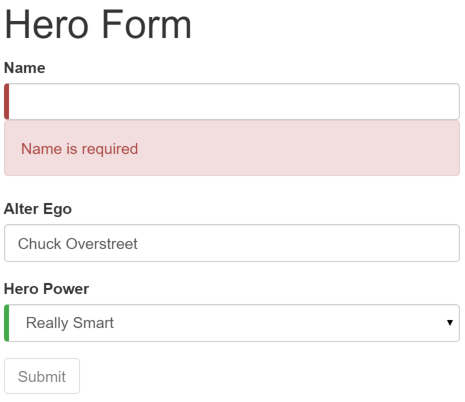 The user recevies feedback on what is necessary to properly complete each form entry below that form input. 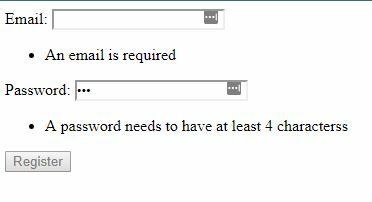 Each message varies based on the requested information and the custom validator. An implementation of various angular validators for Angular 2+. Validators are password, email, universal and creditcards. This passwordMatchValidator simply takes a FormGroup (you don’t have to care about this because it is handled by Angular) and returns a validator response when the values of the controls form the passed FormGroup are equal. 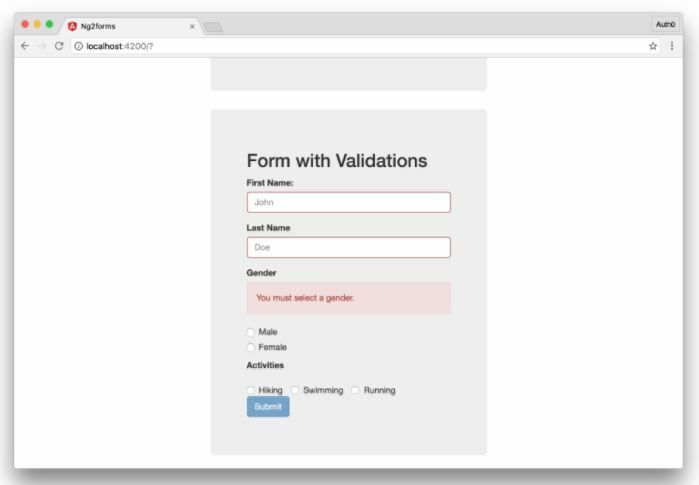 This video shows how to validate user input in the UI and display useful validation messages using first the Template Driven Forms and then the Reactive Forms approach.